1. Create (or update) a budget. Having a financial plan is extremely important if you want to manage your money and keep costs low. Your budget should include all of your regular income, and your on-going expenses. With whatever funds are left, set aside money for savings, and plan for any optional expenses, like eating out and entertainment. In doing this, it is important to separate your needs from your wants. For instance, you need to buy your textbooks, so you should budget especially for this expense. If there is limited money left after these purchases, you may have to limit your wants, like movie nights with friends, and eating out instead of eating at the dining hall. Once you separate your wants from needs and finalize your budget, do your best to stick with it. Situations will arise that force you to stray from your budget, but having a plan will make it easier to get through these surprises with ease. 2. Find and apply for all the scholarships and financial aid you can. It is likely that some of your regular income will go to your schooling, whether that is through textbooks, supplies, or tuition. Just because you are in college doesn’t mean that scholarships can’t help with that, though. 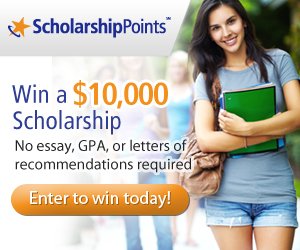 Continue applying for scholarships and grants throughout your years in school, both online and in your local community. Odds are, there is more free money out there that you’re missing, and you can use all the help you can get! 3. Be wary of identity fraud. Eighteen to 24-year-olds are the most likely demographic to have their identities stolen, but a recent study showed that students are the least likely demographic to notice if their accounts have been compromised. Don’t let yourself be one of these unsuspecting victims! Monitor your financial and social media accounts and protect your personal information — even from your roommate. Some things are just better kept secret. 4. Save whenever you can. Instead of driving, try walking, biking, or hitching a ride with friends. College campuses are made to be walker-friendly, and the likelihood that you’re the only one from your school going to a party should be minimal. Changing your mode of transportation will save you tons of cash on gas and insurance, provide you with an easy daily workout routine, and help you make friends! Buy used, or rent, your textbooks. We all like to think that we will look back on these books in our careers — but will we really? If you know you aren’t going to use a textbook for more than one semester, or you’ll never look back at it, consider renting. If you just have to have the book to keep it, try to buy a used book, either from the university bookstore or from a fellow student. Dealing with pencil markings in the margins is worth saving hundreds! Alternatively, try buying an eBook for your electronic reading device (like Kindle or iPad). Having a digital copy of your book can save you even more money, and there are rental options here too! Plus, you can highlight right on the pages, and search for what you’ve highlighted, with electronic versions. This is a great alternative if your professor will allow it! Limit those little purchases. A few dollars here and there may seem like nothing, but these small costs can quickly add up. If you get a $2 coffee each day for a month, you’ve spent $60! Save money by limiting yourself and budgeting for these little purchases. Instead, put $2 each day into your savings account and watch it grow over time! Use, don’t abuse, your credit cards. Having one of these is great to help you build up credit for when you get out of school, but if you aren’t careful, you can get carried away spending money you don’t have. Make sure you pay off most (or all) of your credit card debt at the end of each billing period so that you don’t find yourself drowning in interest. 5. Be mindful of any student loans. Budget before you borrow. If you have to take out a student loan, borrow federal loans first, since these are cheaper, easier to qualify for, and have better repayment options than private student loans. Oftentimes, private student loans have some of the highest interest rates of any, meaning that your tuition will quickly add up as time goes on. To combat this, try to pay off your loans early by depositing more than is required each month. If you can, try to cover your interest while in school so that your loans don’t grow too much before you get around to paying them back in full. 6. Use your student discount at places around town and online. It is likely that many of the popular hangout spots you frequent offer discounts for students. Attractions like movie theaters and bowling alleys often have deals with universities to provide a lower price for students, and many big name stores offer discounts off your purchases, as well. Even if it isn’t explicitly displayed that a student discount is offered, it never hurts to ask! Alternatively, look around for free activities on campus, instead of paying for attractions around town. Often, student life organizations at colleges will host movie or game nights, intramural sporting events, or other activities that won’t cost you a thing. Grab your friends and get involved! You may even meet someone new. 7. But overall, don’t forget to have fun. You will spend the rest of your life paying bills and having monetary responsibilities — so don’t stress all the time. It’s important to live like a student now so you don’t have to after you graduate, but it’s okay to cut yourself a little slack here and there, too. Go out and live while you’re still young. Take minimal financial risks by investing, and don’t be afraid to splurge on a vacation with friends (as long as you fit it into your budget!). While it’s important to save for the future and manage your money in college, don’t let the guilt of spending take away from your memorable college experience.